Crowdfunding giant Indiegogo has helped raise over 32 million dollars for its users. With such great success, it’s easy to wonder, how does crowdfunding work? The good thing is you don’t have to be a fundraising genius to use crowdfunding for your business. Read on to learn some helpful tips to launch your crowdfunding campaign today. Crowdfunding is often believed to by simply raising money online. However, this term is a bit more loaded than that. It depends on the type of crowdfunding you’re looking to do. For example, if your business is a Nonprofit than you’ll probably do something called “online fundraising”. For those looking to gain capital for a business, crowdfunding works by introducing your product to the public and asking for backers. Often the backers will receive a small gift in return for the donation (such as an early release of the project). How your crowdfunding campaign works will depend on the type of site you choose to crowdfund through. Some sites take a percentage of the money raised, while others will only let you keep the money if you raise the full amount otherwise they hold on to the donations. You can also find a crowdfunding site that’s specific for your industry. For example, Gadget Flow is the perfect site for those looking to invest funds in new technology and gadgets. Once you’ve chosen a crowdfunding site that suits your needs, you’ll want to start building your campaign. Your campaign should feature content and video that holds the viewer’s attention while providing important information about your product. 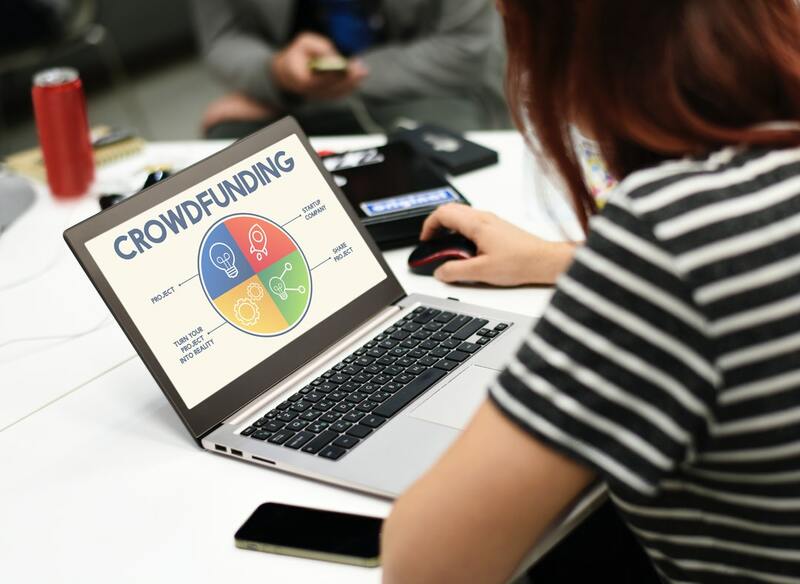 Finally, you’ll have to choose how long your crowdfunding campaign will run, and try to share it to as many different social media outlets as possible to help get the word out. There are a number of benefits that come from raising money for your business through crowdfunding. First, and most obviously, it’s a way to get monetary investments for your business that doesn’t require you to pay them back. Not having to worry about loans or interest is a big relief for new businesses. Next, crowdfunding campaigns are a great way to introduce your product or service to the public. The fact that the online community comes together to help raise funds to make it happen also places it in the category of user experience marketing. Having a successful crowdfunding campaign isn’t as easy as filling out some information and uploading a video. You’ll want to take extra measures to get your campaign in front of as many people as possible. First, spend some time talking with crowdfunding experts to see what’s worked for them. Look at crowdfunding campaigns that were successful in promoting a product that similar to yours and see what contributed to their success. You’ll also want to really push on the first 48 hours of your campaign launch after those 48 hours campaigns tend to lose momentum. By answering the question “how does crowdfunding work?” you’ve now taken a solid step towards growing your business. But there’s still more work to be done! Check out our article on Digital Marketing Solutions for more ideas on how to increase your business.